‘Changing Dundee’ is an exhibition of work by Dundee based artist-printmakers, Maya Abeysuriya and Marianne Wilson. 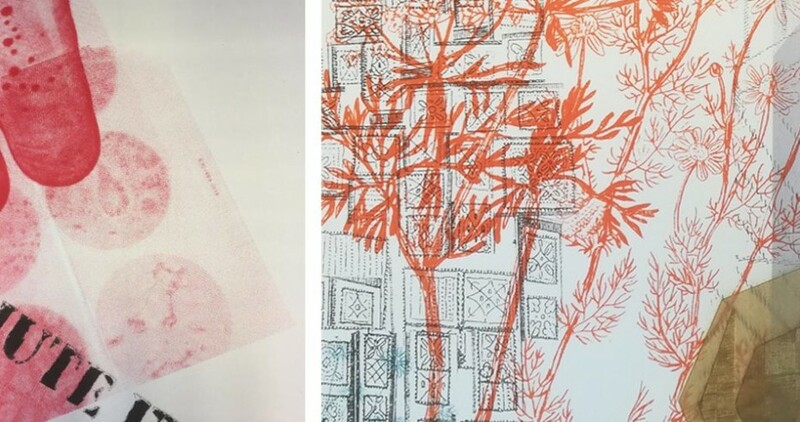 Maya Abeysuriya is a self-taught artist-printmaker whose extensive research uncovers the connections between South Asian doctors and Dundee’s jute industry. Her interest is sparked by the knowledge that her Sri Lankan grandfather spent time caring for workers in Scottish linen and jute factories during the 1920s. It is highly possible that Dr Arukatti Patahendige Frederick Abeysuriya visited Dundee in his time as a student and witnessed the disease and difficulty experienced by workers in the jute industry. His pioneering spirit paved the way for many of Maya’s family who also became doctors in the UK. Using the medium of screen printing Maya has layered images and text onto jute fibre paper to highlight, edit and explain this information. In her work we celebrate the migrants who give us such amazing stories.